Free 3D PageFlip Reader, read & email 3DP PDF to Flip Book with ease! 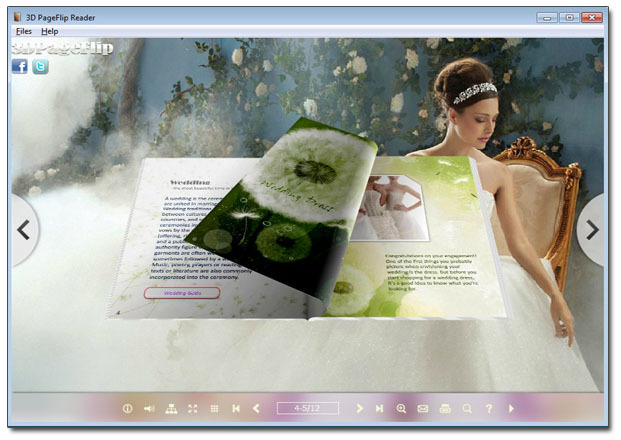 Committed to Creating Amazingly Realistic 3D Interactive Magazines, Catalogs, Brochures and Books from PDF, PPT and More! 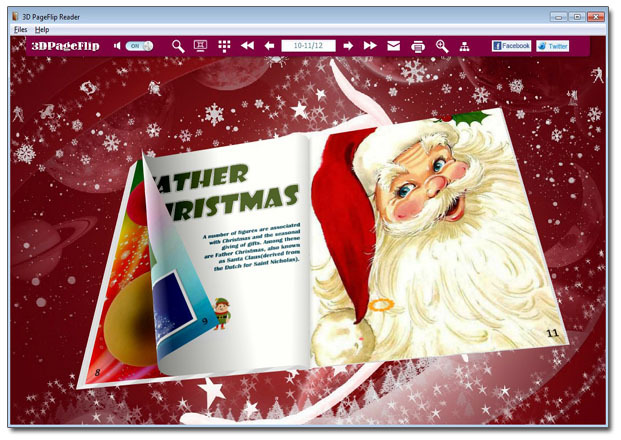 A specific Reader helps people read flipbook on PC, Android Device with full 3D eBook features! Simple but useful digital book reader for 3DP flipbook reading. Support open 3DP flipbook on PC and Android Device. Support open and view recent file quickly. Help to share 3D eBook via email instead of EXE. 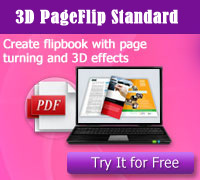 Use 3D PageFlip Standard or 3D PageFlip Professional to create 3DP flippingbook. Download a 3DP demo flipbook to read in 3D PageFlip Reader. Windows version and Android version available, download from this site or Google Play. 3D PageFlip Reader is a free, trusted program for reliably viewing and interacting with 3DP documents (which is made by 3D PageFlip Standard/Professional) across platforms and devices like PC, android (Mac, IOS version will be available in the future). Install the free 3D PageFlip Reader for Android to work with 3DP flipbooks on your Android tablet or phone. 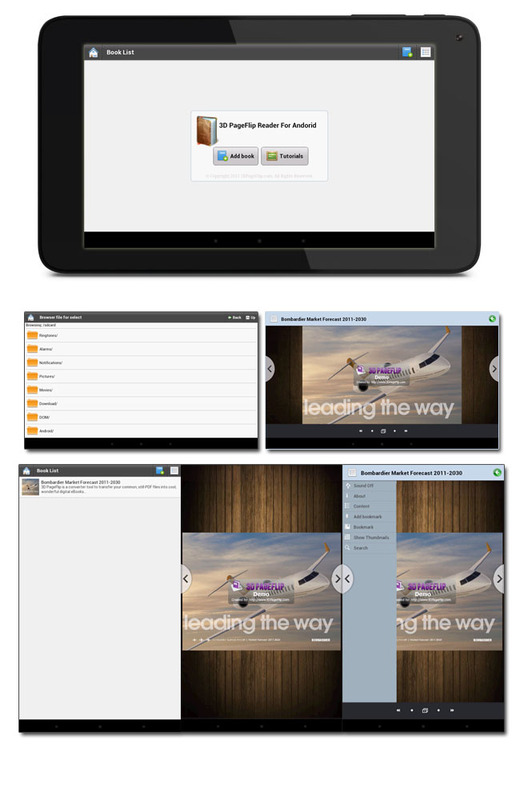 Easily access, manage, and share a wide variety of flippingbooks with slide feature! Why publish PDF to flipbook with 3DP format? 1. 3DP is a specific flipbook format which is designed for convenient 3D flipbook reading on different platforms like PC, Mac, IOS, Android. If you want to publish flipbook for mobile reading, you can choose 3DP format. Then what you need to do is to install the 3D PageFlip Reader on your mobile to read the flipbook. 2. If you want to share flipbook via email, it is better to choose 3DP format instead of EXE. Most email programs won't allow you send EXE via email since a consideration of security risk. Executable files can contain viruses and malware. And EXE file is a kind of Executable file and most email software programs and online email services restrict or block the sending and receiving of these attachments. 3DP technology will be a new solution instead of EXE for email sharing! You have no need to worry about the security risk and whether it can send via email or not! If you need convert PDF to 3D flash Flipping Book, please see: 3DPageFlip Professional or 3D PageFlip Standard, it will help you create flipbook with HTML, ZIP, EXE, 3DP format for online and offline reading! 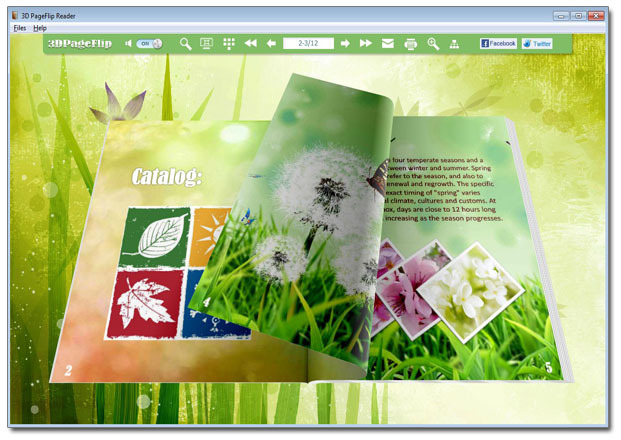 3D PageFlip Professional is a comprehensive creator to convert PDF to flash flip eBook with 3D effect and multimedia content. The fantastic feature of the eBook is its 3D Look and realistic eBook look! Users can easily edit eBook page by inserting links, buttons, flash, images, etc, as rich and interactive content! Moreover, users can create 3D Model for their objects easily in this flipbook software. For example, you can create 360 degree spinning product to show an object fully. You can insert 3D Sphere Gallery for pictures to offer others a visual feast! 3D eBook is not only a page flip book for reading, but also a delicate exhibit as 3D e-magazine, 3D e-brochure, 3D e-catalog to show people the most fantastic 3D digital content! 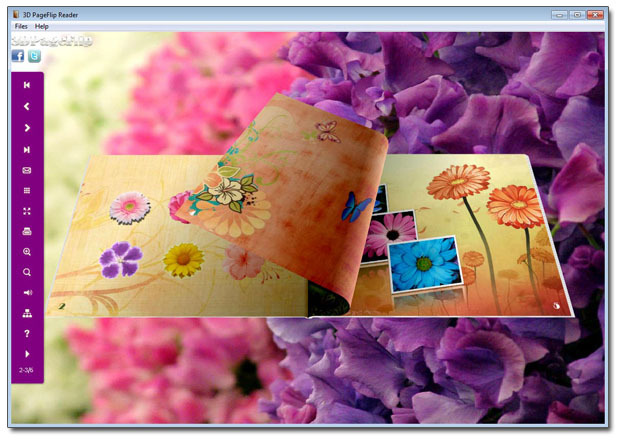 3D PageFlip Reader for PC is used to read 3DP flipbook on PC. 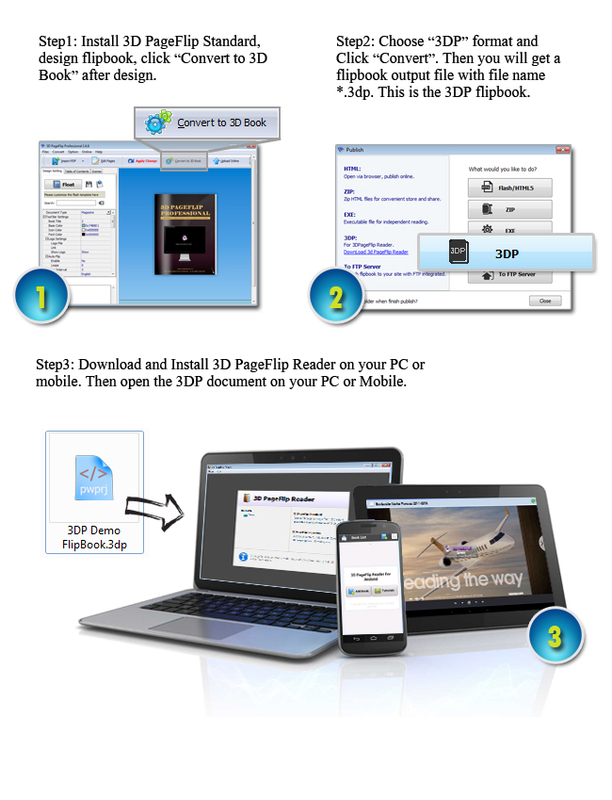 Download 3D PageFlip Reader for PC and install on PC, then run the Reader to open 3DP flipbook to read! If you need convert PDF to 3D flash Flipping Book, please see: 3D PageFlip Professional or 3D PageFlip Standard, it will help you create flipbook with HTML, ZIP, EXE, 3DP format for online and offline reading! 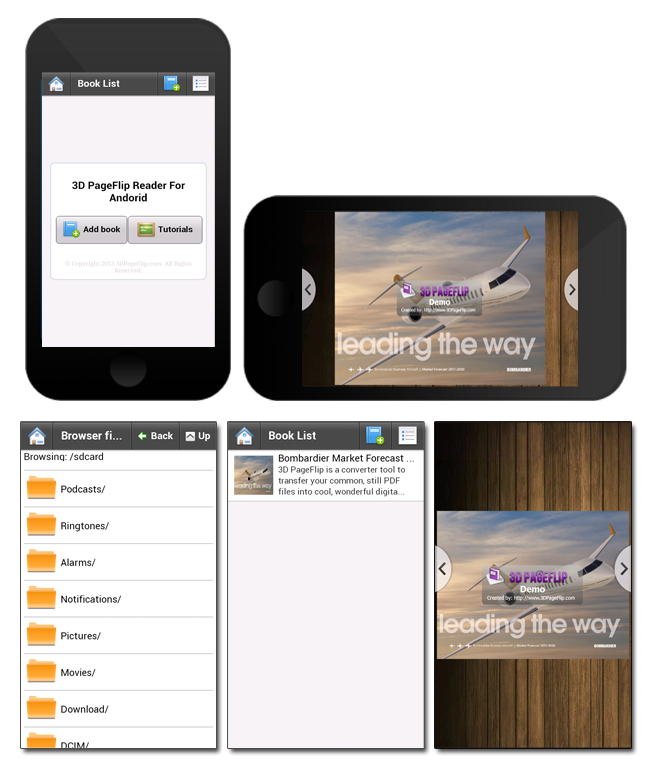 3D PageFlip Reader for Android is used to read 3DP flipbook on Android mobile or Android Tablet. 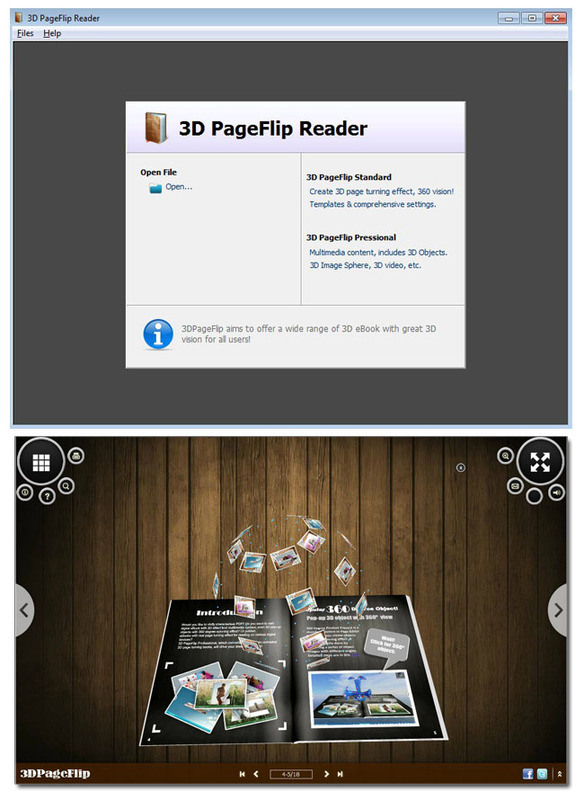 Download 3D PageFlip Reader for Android and install on Android device, then run the Reader to open 3DP flipbook to read! Make sure you have installed 3D PageFlip Reader on your device. Then download the demo book to read in the reader! Love the 3D PageFlip Creator software, it is great for converting my PDF to 3D online publications! 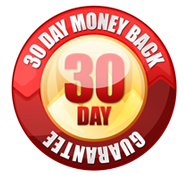 Introduction about 3D Page Flip eBook. Copyright © 2015 3DPageFlip Software Co., Ltd. All rights reserved.